Finders Keepers have joined forces with Happenstance Magazine to bring an all new line up of featured artists at the upcoming Sydney Spring/Summer markets event happening next weekend! (4-5 December). I am going to be one of the featured artists, and I will have a few framed pieces up for sale. 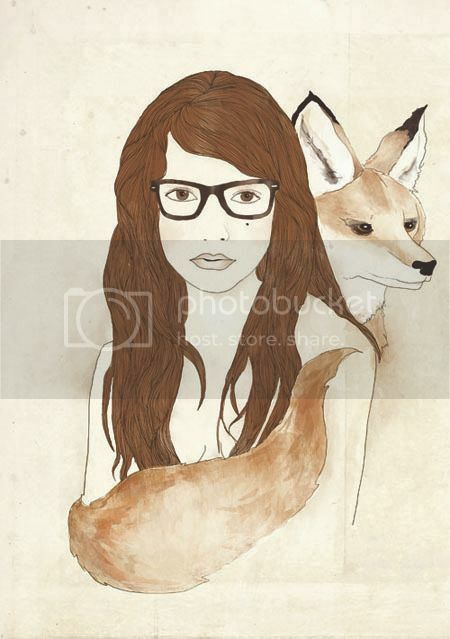 Including the above new illustration (wolf girl), which will be first available at the show. Finders Keepers is a really amazing market, so if you are in Sydney, make sure you check it out. Love, love, love this Wolf Girls Drawing! Also enjoy very much all your once upon a time artwork!